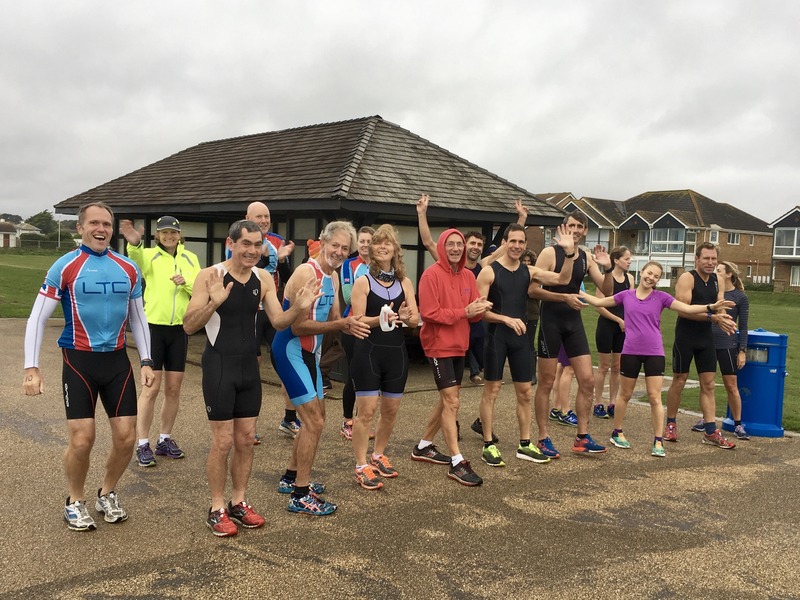 The 2017 season has been hugely successful for Lymington Triathlon Club who’s members have been racing around the country and around the world throughout the season, both individually and representing Great Britain. Saturday saw the annual end of season LTC Training Triathlon take place in a blustery Milford On Sea. Weather conditions led to the swim being replaced with a run as the 25-30kts of gust prevented the safety boats from operating. Nearly 30 members turned up on the day with 16 taking part in the now “Duathlon” over two different course distances. The Run/Cycle/Run format was not quite what Members had prepared for, but GB age-group representative and club chairman Matthew Brearley was first male home on the long course with his daughter Anna Brearley the first female. Eleven of the 12 who started the long course returned safely with one member retiring early to prevent injury. All four females that started the shorter distance course returned safely with one even opting for a longer run at the end. A huge thank you must be made to Event Director Fred Glennie who deemed the event “Another great LTC success, even if it wasn’t quite what was planned…” A thank you must also be passed to all the volunteers and helpers on the day and to the people of Milford On Sea for their support throughout the morning… see you next year, just don’t forget the sunshine!